Our latest installment of Ctrl+P features the work of Erika Larsen. Larsen’s work uses photography, video and writing to look intimately at cultures that maintain strong connections with nature. She began working professionally as a magazine photographer in 2000 and her images have been published and exhibited internationally. Her work has been included in the Smithsonian National Portrait Gallery, National Geographic Society, The Swedish Museum of Ethnography and Ajtte Sámi Museum. Larsen is a recipient of several grants and fellowships including a Fulbright Fellowship, New Jersey State Arts Council Fellowship, Women in Photography Individual Project Grant and the Lois Roth Endowment. I came on a search to understand the primal drive of the modern hunter by taking an inclusive look at an original hunter-gatherer, nomadic society. I came to see if when the land speaks there were those that could interpret its language. Every day in the Arctic extremes play upon the lives of the inhabitants. Here I found the Sámi, which translates to ‘the People.’ Indigenous to the Arctic Circle of northern Scandinavia and Russia–the largest area in the world with an ancestral way of life based on the seasonal migrations of the animals–the Sámi are by tradition reindeer herders who have lived as nomads. By possessing a livelihood dependent on their surroundings the herders are acutely aware of changes in nature. They have managed to survive in extreme climatic circumstances for ages. Their spoken language, despite being derived from Finno- Uralic roots, has transformed and is considered an Arctic language rich in its ability to explain the natural world. I came here to understand the primal drive of the modern hunter, and to find a people who, when the land spoke, could interpret its language. I also came in search of silence so that I could begin to hear again. From the first images I created in this land I could see the people lived in two worlds. In them I experienced a past rich in its connection to nature, driven by the need to survive and enveloped in a relationship to the earth and her surroundings. The images exposed a presence of a people still nomadic and not in need of the world existing outside the arctic landscape. In the other world I saw a group of people acutely inhabiting the present. A culture aware of global connectivity, modern technology and the need not only to exist but to share knowledge to continue living in a world rich in understanding of the natural cycles. 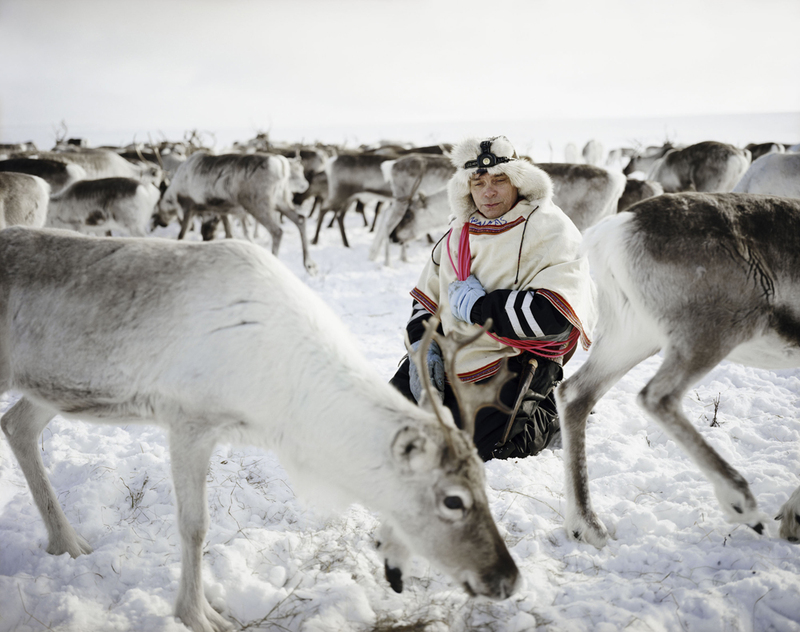 With traditional roots intact, the Sámi herders have bridged into the modern world. I have observed nature being at once both beautiful and brutal and it appears that the herding culture is still living in a rhythmic flow with nature. Through the Sámi I hope to better understand our role as stewards of the earth. It is inevitable when spending time in a more nature-based culture that one must recognize the cycles of life and death and therefore begin to evaluate man’s role within this circle. As biodiversity, forest stability, abundance of water, and wildlife management become globally vital, this community will be vital to understanding sustainability in the Arctic region. 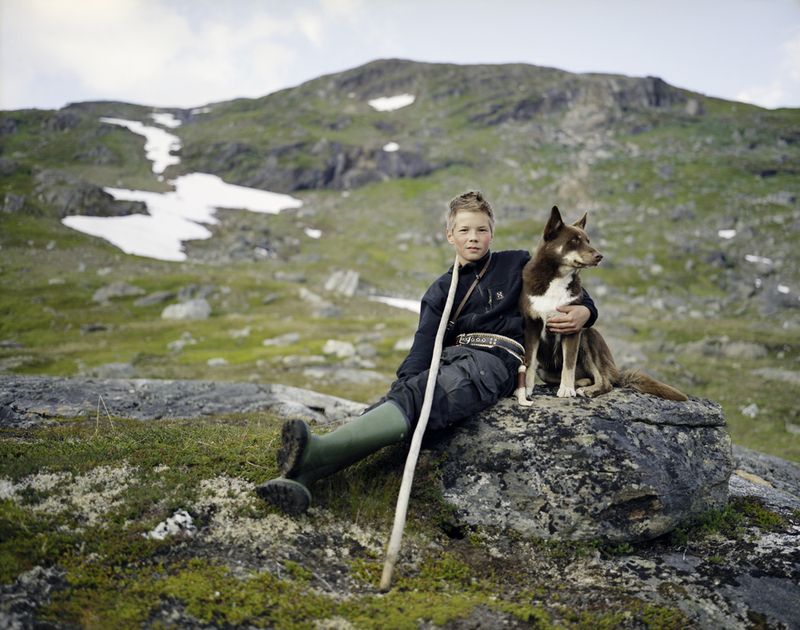 My photographs explore the Sámi herder’s symbiotic relationship with the environment, their existence in today’s world and the mystery and beauty, which fueled past generations to survive into the modern world. This work was created in Kautokeino, Norway and Gallivare, Sweden where I worked as a beaga or housekeeper for a family of Sámi reindeer herders. I chose to immerse myself in this manner so that I could better understand what I was seeing and experiencing when creating the images. The actual image making process was intuitive but the process for understanding the culture took daily effort through work, learning North Sámi language and listening. Pre-order the book and learn more about the project.